During college, I spent a semester studying abroad in Florence, Italy. There, I was introduced to tons of fashion styles and brands including a very popular shoe brand by the name of Camper. Most of the Camper shoes I saw being worn around town looked a lot like these, which I found kind of odd at the time (still kinda do). I really couldn’t understand the Camper phenomenon but almost every Italian man walking on the street was wearing them . A couple of days ago, while perusing the virtual shoe aisles at Habitat, these cute little wedges caught my eye and I was completely shocked to see that they were Camper’s. 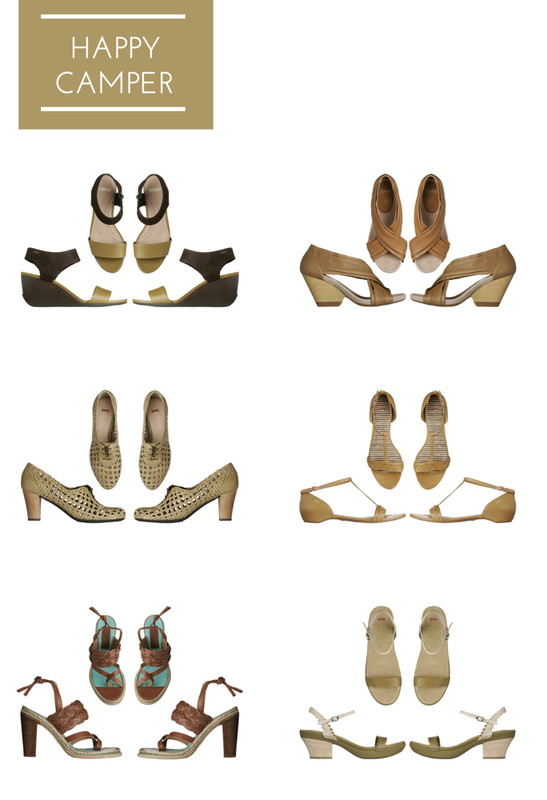 So, I hopped on over to the Camper website and found that I not only liked the wedges, I loved a lot of their current collection. Above are a few of my favorites. I love that their shoes are all named after females. Does anyone out there have a pair of Camper shoes? Are they comfortable? I’d love to know. xoxo!